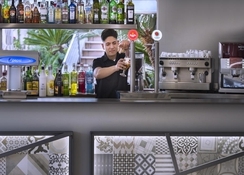 Hotel Oasis Park Splash is located in Calella, a Spanish town whose tradition around summer tourism is pronounced by each passing year. Families from both Europe and other parts of the peninsula come to the hotel to relax in tranquillity. The hotel is much more than just a holiday accommodation: it is a complex that offers guests a large number of services and facilities. Travellers of all ages will have a wonderful time in this hotel at thanks to its facilities and affordable accommodation. Guests can shuffle between lounging on the beaches, or in the pool area that the hotel offers. 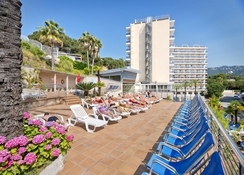 Hotel Oasis Park Splash is located close to a lovely beach in Lloret De Mar. There are also cosy coves around the beaches for you to explore. From the hotel you can head out to Barcelona, ​​Montserrat, Girona, the Dalí Museum in Figueres, Costa Brava, etc. The options are endless! The Gerona airport is about 30km from the hotel, while the Barcelona airport is about 90km. Hotel Oasis Park Splash offers various room types to accommodate all kinds of travellers. All of them have their own bathroom, as well as television, internet access and air conditioning. 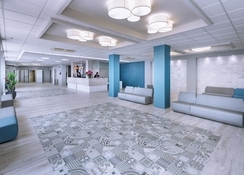 The hotel offers three different room categories – the standard room has a bathroom, telephone, TV, air conditioning, internet connection and central heating. The comfort rooms have the same amenities but additionally offer a balcony with a view of the sea or the pool. The third category is family room which is the same as the comfort room - only bigger and with an additional room. 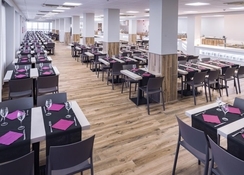 Hotel Oasis Park Splash in Calella offers traditional Mediterranean and international cuisine in a diverse buffet restaurant. In addition, their show cooking during lunch or dinner buffet will make your day. Or you can just grab a summer drink and a snack on the terrace of our hotel bar. Hotel Oasis Park Splash features a swimming pool, the mini-club, the children's playground and the sauna and Jacuzzi area. During the high season you can enjoy your family entertainment programs for adults and children. The hotel staff team organises water games such as water basketball, water volleyball, water polo but also non-water activities such as darts, billiards or mini games are held here. The kids can enjoy at the kids’ club. In the evening, kids can have fun in the mini disco and the adults can take part in dance classes, music quizzes, magic shows and more. This was our first stay at Calella, had one of the revamped rooms and was spotless. 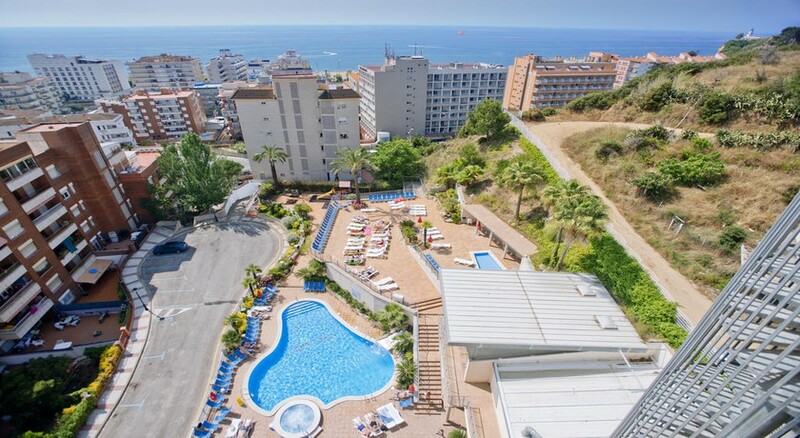 Great location in Calella close to the beach and town. Hotel facilities are brilliant with a great choice of food. I would stay here again. great little hotel ror small kids. my daughte4 was 7 months at the time and we enjpyed our stay. very clean and rooms were pefect size we had two double beds pushed together. kids pool has good slides and the inclusive was good. staff was also lovely. Amazing hotel and facilities but food is awful that was the only down fall about this place, but are room was cleaned everyday new towels everyday and friendly staff. Amazing for family’s with young children as the pool area is amazing. Would recommend but to not go all inclusive and the food isn’t worth the money.